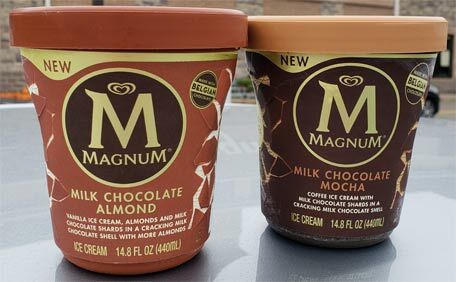 [New for Fall 2018] When I saw all those grocery store websites with placeholders for the three new Magnum tubs on sunday, I should have known that they were going to be on shelves sooner than December (which is when the first four came out last year). Ok, I have no idea why I started with the mocha.... that's not true, I know why. 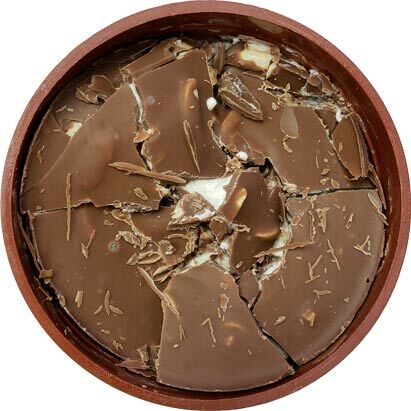 I convinced myself that the mocha would make a good mid morning snack because it's "coffee ice cream with milk chocolate shards in a cracking milk chocolate shell". Oh no! 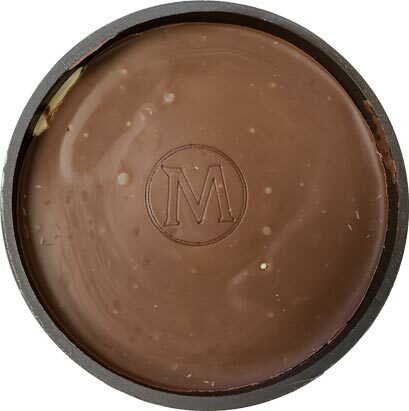 I've popped off the top while I attempted to "squeeze to crack"... such a lovely, large piece of delicious Magnum chocolate just sitting here in my hand... Anyone out there not like Magnum chocolate? I mean I'm sure some don't, but I am not one of those people. I think it's pretty great. Just a great balance of milk chocolate flavoring to cracking goodness. Mmmmmmm. Ok, so you are probably wondering why I am droning on about the chocolate. Well, I was bad. Very bad. I had my first serving of this faux pint but it included eating the chocolate top all by itself. I should have spread it out but it was just so tempting.... and tasty... I'm sure I'll regret it in about 20 minutes when my heartburn comes back. Meh! Wasn't I supposed to not be eating bad things when I'm stressed? Sorry, sidetracking. Helpful opinion with two points: One, I usually pick on the lighter texture but I think it works ok with the distinct coffee flavoring. 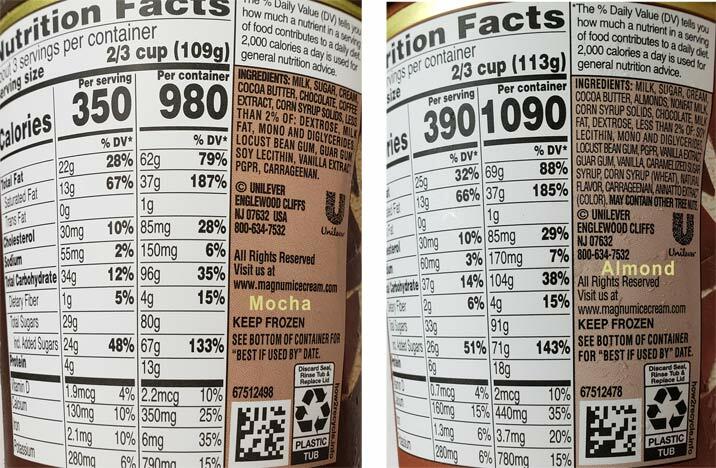 It's definitely a straight coffee flavor, but it's not as imposing when it's not in a super premium base. Two, they call it mocha, so why not go with a mocha base? I think it would have been more fun that way. In my mind, there is too big a jump from the sweet milk chocolate to the bitter coffee base. I think this pint would be more fun and inclusive with a sweeter, more chocolatey, mocha base. Unfortunately both these opinions come from a non-coffee person so take them as you will. I guess the stamp machine doesn't work on the almond tub. 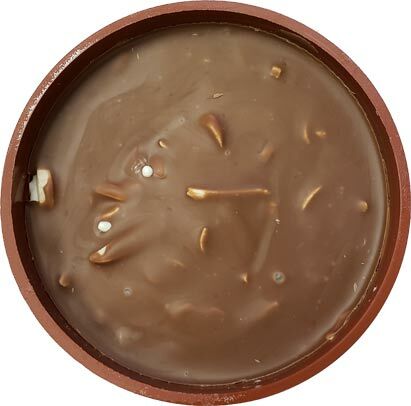 The exact description is "vanilla ice cream, almonds and milk chocolate shards in a cracking milk chocolate shell with more almonds". ok, so what can I say about the almond variety? Well, the extremely thick chocolate layer on top, with it's large slivers of almonds embedded in it, is really good. It makes me want one of those magnum candy bars they have over in Europe. 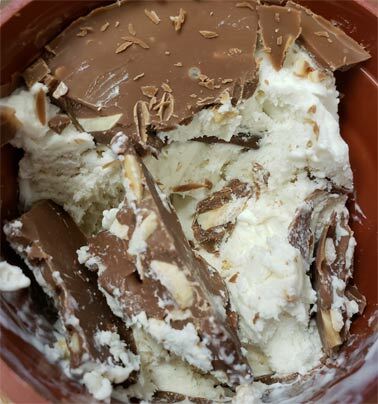 I will also give them props for including almond bits in the vanilla ice cream. That's the end of my positives though. I just don't get their "ice cream" which to me is barely ice cream. It's too foamy... nay, too spongy here. Notice I didn't say gummy, I said spongy. I just don't get it.... actually I do get it. They are owned by Unilever, and except for Ben & Jerry's, they aren't know for good ice cream. Hey, it's my opinion and I'm sticking to it. The technology in here must be similar to how they designed Breyer's "gelato". Hey, if you enjoy it, that's fine, I'm just not one of those people. Why not Magnum do a creme brulee flavor? No brainer. The shell is like the sugary crust on top of the creme brulee. 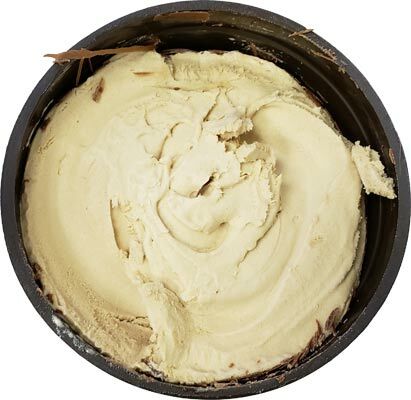 Going off topic, have you tried frozen Custard from shops like Andy's or Freddy's Steakburgers?